Imagine 100 horses pushing 100 carts. That’s the situation California’s counties and cities have navigated over the past year since cannabis cultivation and recreational use were legalized. The cannabis industry has come under regulatory control for the first time, and doubly so, with counties and other local governments possessing a significant amount of local control over operations and taxation. It all adds up to counties putting together licensing programs and coordinating how they would interact with growers, sellers and manufacturers all while the state hadn’t codified regulations. “It’s exciting and extremely challenging. I’ve never come across anything like this in 30 years in county government,” said Mary Zeeb, Monterey County’s treasurer and tax collector. A combination of the transition to the legal market, uneven adoption of local regulation and some natural disasters have contributed to lower-than-expected tax revenues from cannabis sales, but various officials involved expect those numbers to increase. Through three-quarters of 2018, the state collected $234.2 million in tax revenue from cannabis sales, which does not include local taxes. Those figures increased, starting at $60.8 million in the first quarter, to $80.2 million in the second and $93.1 million in the third. This year will be pivotal for the industry, as the state has stopped awarding temporary licenses and the standards will rise for retailers who want a normal, annual license. At the same time, the California Cannabis Authority — a joint powers authority — is trying to consolidate data to help pave the way for more involvement from the banking industry, which given the dissonance with the federal stance that cannabis is illegal, has forced much of the industry to work in cash only. “It will be providing an additional tool for counties to ensure that they have the data necessary to fulfill their regulatory compliance obligations, to direct their code enforcement in the appropriate direction, to ensure for tax plans,” Martinson said. “It’s really important so we can know who the good actors and the bad actors are out there, because it’s not easy to tell off the cuff, especially when we’re in the evolution of the industry,” she said. Mendocino County, along with neighboring Humboldt and Trinity counties, makes up what’s called the Emerald Triangle, the most productive cannabis growing region in the United States. As one could expect, cannabis has become a significant industry over the last year and a half — Mendocino County has been taxing medicinal sales prior to the start of 2018 — and those counties have been among the most involved in regulation. Still, it hasn’t been easy. She said the county’s agriculture department is backlogged with growing permits for cultivators. A wildfire in October 2017 had a significant impact on the crop yield in Mendocino County, and the $1.8 million projected for tax revenues ended up being $1.3 million, but Schapmire said the Board took the lower revenue in stride. The county agriculture department is still surveying losses from the 2018 wildfire, with recognition that loss due to wildfire will be a risk going forward. In Monterey County, Zeeb said that once it was apparent how heavily involved the county would be in regulating cannabis, all of the stakeholders worked together extremely well to integrate the industry. The statewide legalization initiative didn’t pass in Glenn County, so the Board of Supervisors crafted its ordinance to follow suit, allowing residents to grow six plants, but that was it. In mid-January, the state Office of Administrative Law allowed licensed cannabis delivery operations the ability to deliver cannabis almost anywhere in California, even into cities and counties that have barred it. 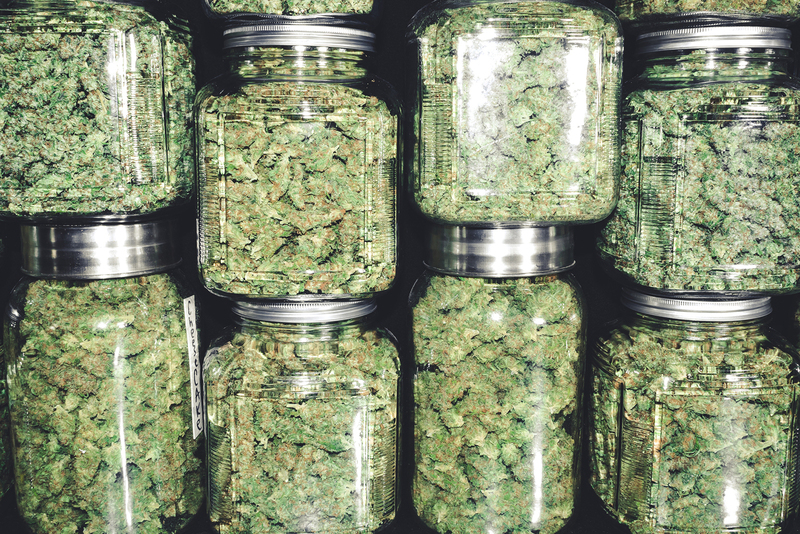 Though some local officials have decried it as an assault on local control, including the League of California Cities, Viegas said if anything, delivery options could help limit the spread of illegal grows. “If there’s going to be delivery, I don’t think that’s going to be a big burden, or an impact on Glenn County,” he said.